Someone decided to switch “Meow” with “Mom” in this video and the results are just TOO CUTE and adorable! 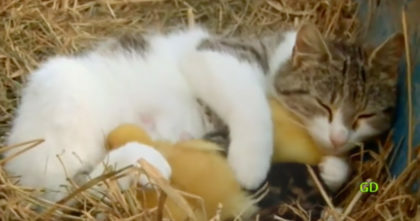 Cats are seriously the best ever and when you see this you’ll totally agree with us! 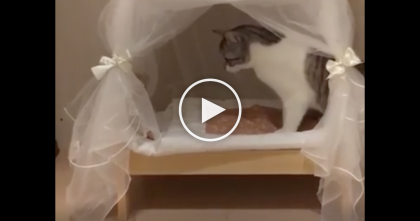 This is SOO cute, I just love cats—SHARE with your friends if you enjoyed too! This 28-Pound Kitty Goes For Walks With Owner, But Wait Till You See How He Does It… OMG. 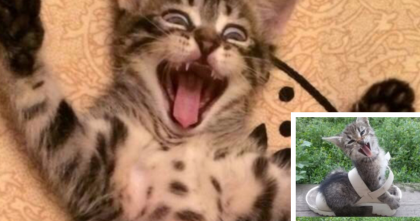 This Cat Shocked Her Owners After They Discovered What She Was Hiding. 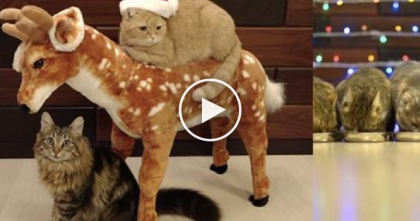 Christmas With 10 Cats Is The Happiest & “Meowiest” Holiday Anyone Can Have… Just WATCH.